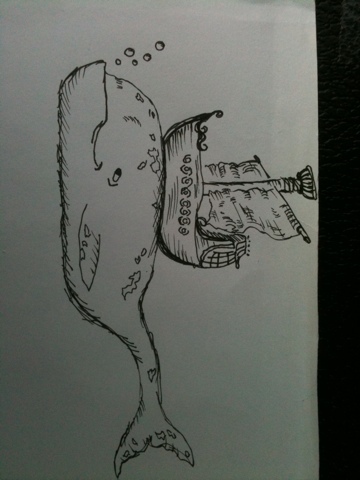 I seem to be fixated on whales. I drew this by using my new Micron artists pen. I'm so taken with this concept, I can't wait to get home and really work on it. I think we're all taken with these! 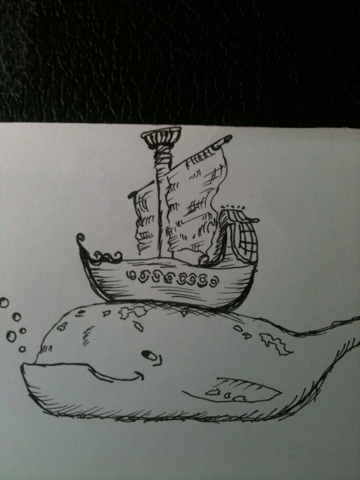 The whale makes me giggle. Love the underbite. You've had some terrific stuff over the month. Thanks guys! I treuly enjoy seeing everyones art, keep it up!